FREE TIME IN CHICHEN ITZÁ for photos and walking on your own. Entry into CENOTE IK KIL, time to swim. 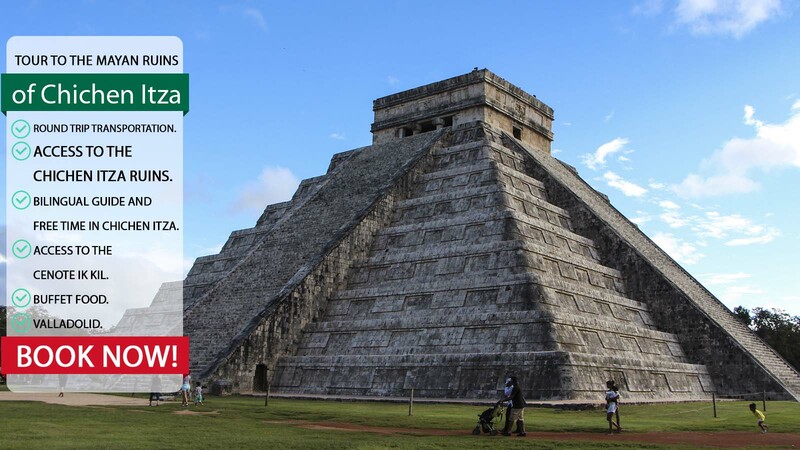 Lets go The Equinox Adventure is in Chichen Itza! $ 70.00 Juniors 4 - 10 Years.